Spacious stone flagged entrance area. Downstairs loo with baby change facilities. King size bed room with en-suite shower room. 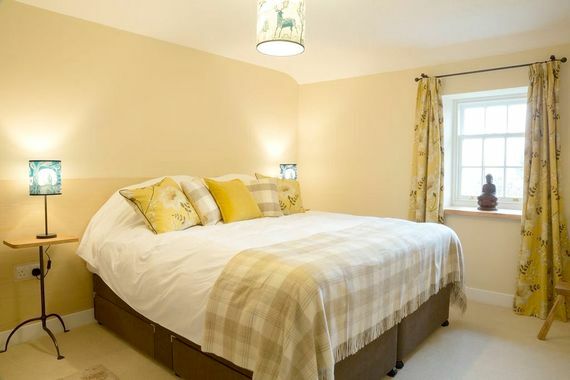 Carriage room with sumptuous extra wide, extra long single mattress with adult comfort in mind. Lots of lovely outside space to enjoy. Super king size bed that can be split into a twin if preferred. The interior design and decor is a sophisticated take on a traditional farmhouse, with beautiful finishing touches courtesy of local craftsmen and artists, including hand-printed wall paper, hand-painted murals and handmade wooden furnishings. 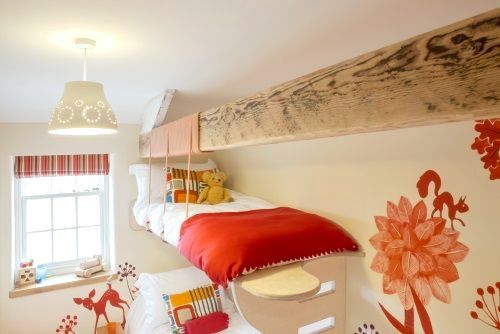 Little ones can have fun counting all the woodland friends in the decor, starting in the cheerful children’s room with funky bespoke bunk beds, bean bag and toys, whilst the ‘carriage bedroom’ also has full size bespoke bunk beds for grown-ups along the luxury lines of the a first class sleeper. The master ensuite bedroom has a romantic king size wrought iron bedstead and the fourth bedroom can be either a superking or twin, all with Sealy posturepedic mattresses, 300 thread count Egyptian cotton linen and sumptuous, feather-down style duvets. 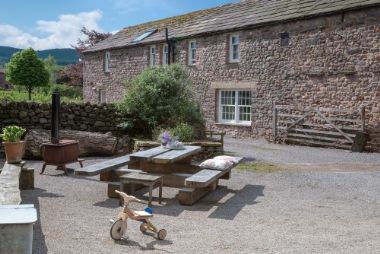 However comfy and cosy Nelson Barn may be, the great outdoors beckons and families are treated to the sightings and sounds of a host of wildlife including owls, hawks, deer, hares, bats and even the Kirkby Stephen parrots. 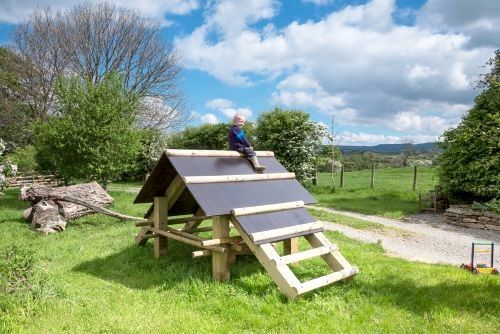 Children can be out from dawn ‘til dusk, playing safely in the private gated grounds comprising a large gravel area with a sandpit, picnic table and log burner as well as grassy areas with a play house and logs for scrambling over. 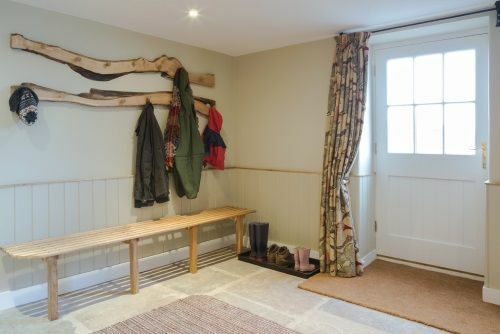 No need to worry about a bit of muck and mud either, because the house has a big boot room with flagstone floors to kick off wellies and hang up puddle suits to dry. 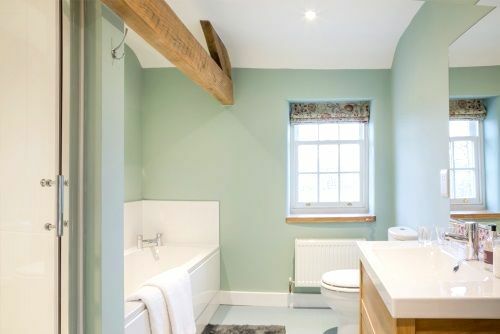 The natural beauty of this part of Britain inspired the owners to transform their grade II listed barn as sustainably as possible, so a Bio Mass burner generates all the heating and hot water, whilst thermal boarding keeps the house nice and cosy, even in the wildest Cumbrian weather. In the comfort of the open plan living rooms, double glazed picture windows provide views over the surrounding countryside and plenty of logs are supplied for the wood burner so families can have snugly sofa days playing the games and watching the DVD’s provided or listening to favourite tunes through the Bose docking station. 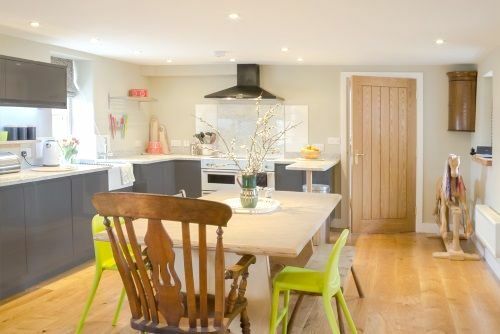 Nelson Barn is a spacious 4-bedroom family house which comfortably sleeps up to 9 people plus a baby in a cot which is included. A large entrance hallway doubles as helpful boot room with flagstone floors, plenty of hooks, a tumble dryer and space for storing prams or strollers. 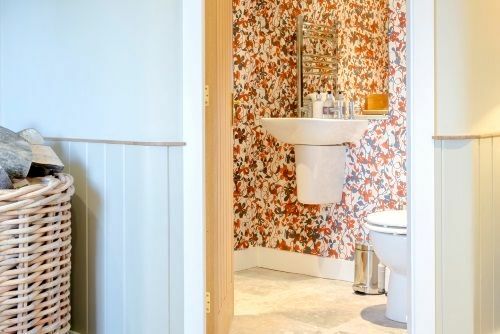 To one side, the downstairs cloakroom makes a statement with its striking hand printed wallpaper and includes a handy baby changing table. The heart of the house is an open plan living area and contemporary dining kitchen that makes it easy to keep an eye on little ones and admire the views through sash picture windows. The sitting room features comfy sofas and a leather chesterfield, log burning stove, flatscreen Freeview TV, DVD player, CD player and Bose docking station whilst the modern farmhouse kitchen includes a gastro wooden dining table, large fridge and freezer, dishwasher, range cooker with induction hob and microwave. The children’s bedroom at Nelson Barn is a particular delight, with hand painted murals of woodland scenes and a bespoke bunk bed that’s safe and fun for little ones but also big and comfy enough for teenagers. The room can also sleep 3 people thanks to a pull out truckle bed tucked under the bottom bunk. 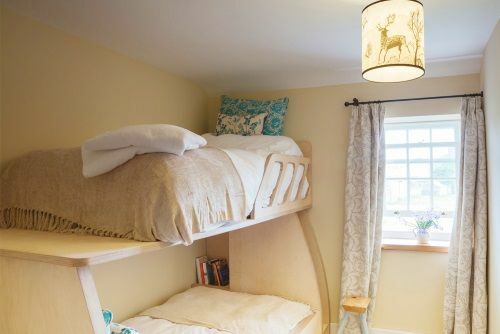 Handmade bunk beds also feature in the ‘carriage bedroom’ but these are specially designed for grown-ups and inspired by the luxury of a first class sleeper carriage, with extra wide and deep Sealy posturepedic mattresses. 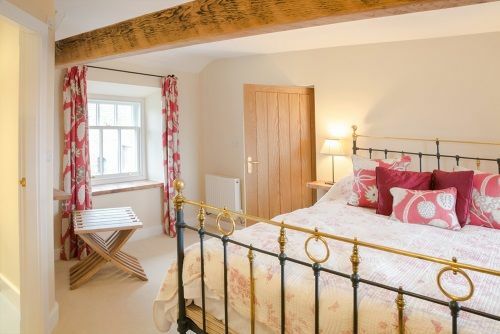 The master bedroom at Nelson Barn, which has plenty of space for a travel cot, has a romantic wrought iron king size bed with a super deep Sealy posturepedic mattress and hand crafted furniture made from London plane wood. 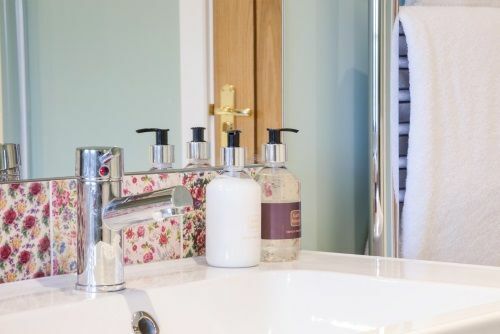 The ensuite has a walk in shower, toilet, sink, vanity unit and Bath House toiletries. 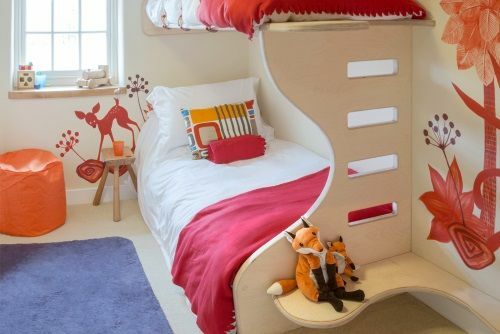 The fourth bedroom, which also has space for a cot, can be set up as a super king size bed or as a twin room, with Sealy posturepedic mattresses that split down the middle. The family bathroom at Nelson Barn is spacious and modern, with a deep, double ended bath that’s perfect for sharing, dimmer lights for a long relaxing soak, a large walk in shower, vanity unit and WC. Nelson Barn is located in the rural Cumbrian countryside of the Eden Valley, in the quiet hamlet of Kaber, close to the traditional market town of Kirkby Stephen. 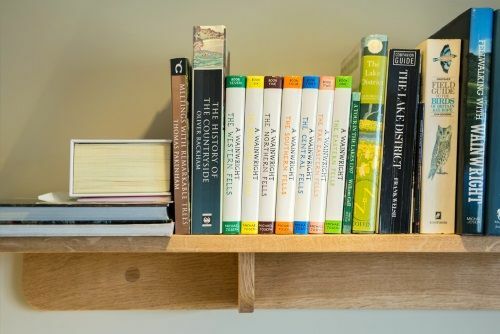 The house makes an ideal location to enjoy lovely walks, picnics and cycling from the doorstep and to explore the stunning landscapes and quaint villages of the Lake District and Yorkshire Dales National Parks. Kirby Stephen is an unspoilt little town with a cobbled central square and a good range of local shops, pubs and places to eat. The town has a co-op to pick up many essentials but the nearest big supermarkets are Sainsburys and the upmarket Booths in Penrith (20 miles). Kirkby Stephen is also on the historic Settle-Carlise railway line, which is renowned for its amazing scenery and steam train services which make a memorable family day out. Besides simply enjoying the countryside, there are many family friendly things to see and do within easy reach. The owners of Nelson Barn recommend a visit to Brough castle, just 5 minutes drive away, which has great ruins to explore and an ice cream parlour with a play area. Rheged Discovery Centre in Penrith is a good option for all ages and all weather, including indoor and outdoor play areas, 3D cinema, theatre performances, creative workshops, shops and places to eat. Ullswater is one of the most beautiful in the Lake District and families can hop on a boat trip in the bustling lakeside village of Pooley Bridge. Nearest Medical Services: GP 2 miles. A&E 25 miles. Having a young family myself and talking with friends & their children over the years I knew that I wanted to create something really special for adults and children alike when I embarked on renovating Nelson Barn. Luxury holiday accommodation for all the whole family to enjoy precious time together. This is Nelson Barns' second year open and I have been overwhelmed by everyone's positive responses. I hope you will love being here as much as I do. I live in the adjoining property so am nearby if you have any questions but you have your own private gated garden and entrance and aren't over looked. For the adults, large sumptuous beds, fine linens, shelves packed with books & DVDs for when you little lovelies are tucked up & you're relaxing in front of the log burner. We want you to feel spoilt. 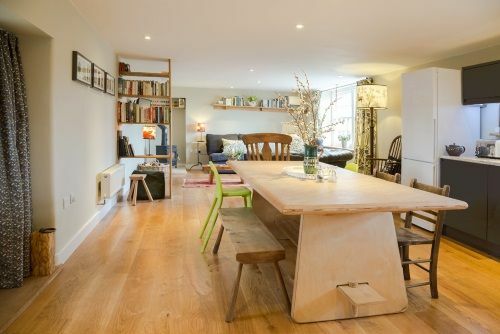 ​Family friendly all the way, easy open plan living with a wonderfully equipped kitchen & large table for family meals or craft activities. Walk, cycle or pram push straight from the door, past the farm to a little beck for splashing & pooh sticks! Abundant wildlife, hares, deer, hawks & even red squirrels. A great base for trips out or stay close to home exploring the rural beauty of ruined castles, play grounds, poetry walks, tea shops or even the local soft play area where little ones can burn off steam & adults can enjoy a coffee on the large welcoming sofas. Children are delighted that they've been catered for too at Nelson Barn. Inside the colourful hand painted wildlife murals, bean bags, toys, books, bunk beds even built in little loo seats make them feel welcomed but outside is where they'll love it most. A purpose built play house, sand pit, loads of safe enclosed space to explore all surrounded by rolling hills. Even if the weather is less than kind, wellies & waterproofs on and there is loads to see & do, be it chatting to the sheep & cows over the wall or watching the farm tractors at work. Nelson Barn is a rural haven for children & adults alike. Nelson Barn is around 1hr 45mins drive from Newcastle, Manchester and Leeds Bradford Airports. A qualified nursery nurse can be arranged. Cot, highchair, baby bath, baby bouncer, baby monitor, potty, stairgates, socket covers, plastic cutlery, and plastic cups. Toys, kids books and DVDs. Buckets, play house, sandpit and trampoline. Large enclosed garden with seating and play area. 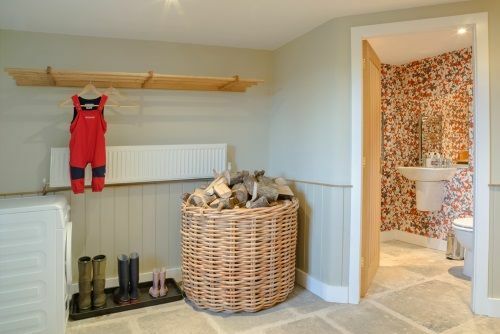 The barn's lounge has a cosy wood burner and a huge basket of logs is supplied. We could not recommend this high enough. Ideal for two families, in our case 4 adults and a baby. Child friendly in all respects with every effort made to keep kids safe. 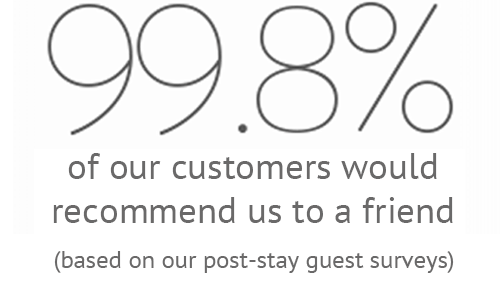 Owner very friendly and did everything to make our stay enjoyable. The cottage was warm and cosy, the beds were superbly comfortable. Kitchen had all the necessary equipment and there were lots of toys/games for the kids. I didn't need to bring anything from home! Nelson Barn was a fantastic base for our family holiday. With children of different ages ranging from 6 months to 10 years it suited them all with the board games on offer, to the outside play area and the highchair and bouncy chair. The kids especially loved their bunk beds!